Maja Włoszczowska and Ariane Lüthi. 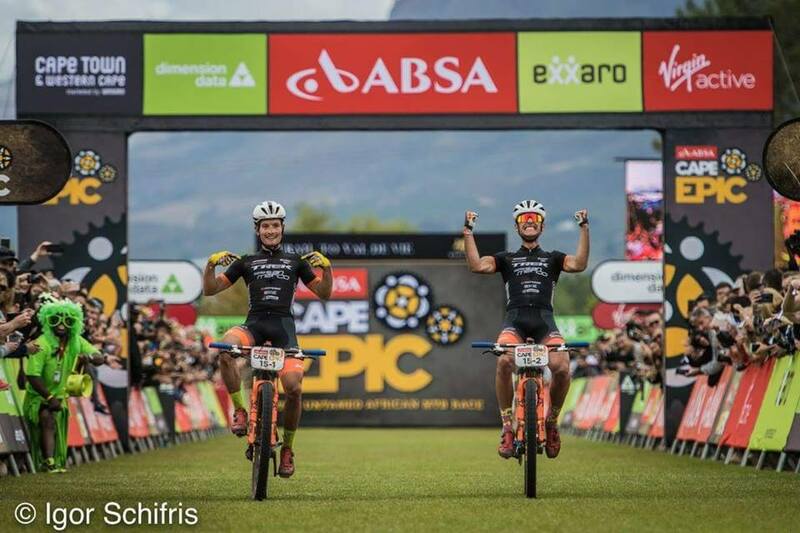 Maja Włoszczowska and Ariane Lüthi took the second place at the first stage of the Absa Cape Epic. Unfortunately, after facing technical problems, their teammates – Sergio Mantecón and Ondřej Cink lost their chances to achieve something great in the general classification. Now they are focused on the stage wins. First stage of the Absa Cape Epic was the one of the toughest in the edition 2019. Riders had to ride over 111 kilometers, with the start and the finish located in Hermanus – popular tourist center. Due to extreme weather conditions (sweltering heat), they started very early – at 7:00 AM local time. Demanding conditions and the stage profile quickly narrowed down the group of contenders. Women’s Kross-Spur Racing Team was doing very well, and after more than five hours of fighting finished as the second, right behind the Investec- Songo-Specialized duo: Annika Langvad/Anna van der Breggen. Unfortunately, after the very successfull prologue, Sergio Mantecón and Ondřej Cink were not able to take a fight for the top positions. After few serious technical problems, they finished the race with a big time difference to the first riders and now they have to focus on the stage wins. On Tuesday riders will have to ride 90 kilometers from Hermanus to Oak Valley Estate.